I began to write poems after learning in my freshman year of college that I was a better writer than artist. 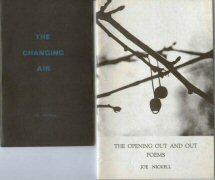 My poems began to appear widely in the "little magazines" and I became a protogé of Wendell Berry and John Wieners (who introduced me to read in his place at the final reading of the 1965 Berkeley Poetry Conference, and introduced me to Robert Creeley, Allen Ginsberg, Robert Duncan, and others). 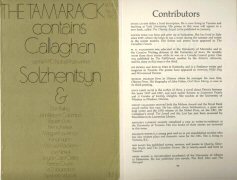 I was an editor of the literary magazine Stylus at the University of Kentucky from 1964 to 1966 and won the Farquhar Award for Poetry in 1967. I was offered a scholarship for a master's in creative writing at Johns Hopkins University in 1967 but was unable to accept due to an end to master's-level deferments because of the war in Vietnam. 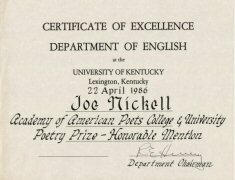 Eventually, I produced two chapbooks of poetry and read in coffeehouses and other venues, but by the time I returned to the US from exile in Canada in 1977, I had ceased to write poetry, indeed apparently couldn't write. I did share old poems on occasion. I began again in late 2003 with the discovery of a daughter I had not known was mine, needing to speak to her in an elevated language. I am prolific once again. In the last photo I'm reading at the 2008 launching of the anthology Crossing Lines: Poets Who Came to Canada in the Vietnam War Era. I frequently read at the CFI / Just Buffalo Literary Cafe. To hear some of my readings on Think Twice Radio, click on the links below. I also have some of my poetry at Not Just Air. Click on the book to go to the Table of Contents.